In a previous article I discussed how and when to use a dog crate and the times you can and should crate your dog. This article follows on from that and discusses how NOT to use a dog crate, the times a dog should not be crated and in some cases, dogs that should never be crated at all. A crate can be used incorrectly, it can be used in a cruel way and it can be inhumane. But only in the hands of a person who doesn’t know how and when to use one properly. If you follow the advice in my previous article on a crates correct use and the advice in this article on how not to use one, you will only ever use a crate correctly with no possibility of ever being cruel. You will only use a crate with your dog’s best interests in mind. And this is the only way it should ever be used. There are many cases and instances in which a dog should never be crated: Sometimes for psychological reasons and sometimes for physical health reasons. But just as important are the times when people misuse a crate. The times when confining a dog to a crate has absolutely no benefit to them at all and can lessen their quality of life. These aren’t ever acceptable reasons to crate a dog and are merely a symptom of bad ownership. I shall discuss this more toward the end of the article. First though, let’s discuss the times a dog shouldn’t be crated for psychological or medical reasons. Dogs have an innate instinct not to soil in their den and crate training convinces them their crate is their den and it should be kept clean. This gives us the benefit of knowing our dog or puppy will stay clean if we pop them in the crate when we can’t watch them. A massive help during our house training efforts. Also, if a house trained dog is forced to soil inside when they know they shouldn’t, it will make them feel anxious and unhappy with themselves as they know they will have done wrong. It’s just not fair to put them in this position. Not only this, but they will try to hold it as long as they possibly can which is very uncomfortable as I’m sure you can identify with having had to do this yourself at some point in life. How long a dog or puppy can hold their bladder will depend on how old they are so you need to be mindful of your own dogs needs. It’s a basic part of caring for your Golden Retriever to make sure they’re able to potty very regularly. 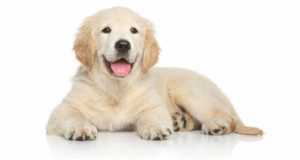 Golden Retrievers are an extremely social and intelligent breed that need lots of social interaction and mental stimulation to be happy. If they don’t get this, they get bored, behavior problems may start to develop and it can even lead to depression. Therefore you should only ever crate your Golden for a maximum of 5 hours and if you do, try to keep the frequency of this to a minimum. Also for the reason it’s unfair to ask your dog to hold their bladder for longer than this. An adult Golden can, but it’s uncomfortable and hence unfair. So if you have to crate your Golden during the day while you work, you should make sure a friend, family member or dog walker comes by to let them out, interact with and exercise them half way through the day. Of course, night times are the exception and you can crate them a full 7 or 8 hours while the house is asleep. Though the majority of dogs learn to love a crate and see it as their own special place and den, this often isn’t the case for dogs that suffer from separation anxiety. Crating such a dog can make things worse and they should never be crated. There are cases of dogs who suffer separation anxiety that have broken teeth and ripped claws out trying to escape after being left alone in a crate. God only knows what state of fear and blind panic they must have been in to do so. So if your Golden Retriever shows any of the following signs when you leave them alone, don’t ever crate them and speak to your vet to ask for professional help in curing their issues: Non-stop barking and whining, scratching and chewing doors and windows trying to escape, pottying in the home and drooling excessively. Separation anxiety is a horrible condition that lessens a dogs quality of life, so please do seek help if you spot the signs. If a dog is genuinely afraid of the crate, then you shouldn’t force them to go in one, it would be cruel to do so. A dog should be happy and willing to go in, not forced against their will. A dog who is scared of the crate will show it in their body language. They’ll be cowering low, trembling, tail low and ears pinned flat. In extreme cases they may even defecate or vomit. Sometimes it’s hard to know if your dog is comfortable in a crate because they may look happy when you first put them in but become fearful after minutes or hours. Always look for signs of damage to the crate that may show their attempts to escape, ask your neighbors if they ever hear any whining or barking, and check for a wet floor that will show excessive drooling. Finding urine, vomit or feces is another sign. If your dog is scared of the crate, you need to go back to careful crate training until they learn to love it before you can use it once more. I’ve just said that if you crate your dog for more than 5 hours at a time you should keep the frequency of this to a minimum. If you crate them while you work, for 9 hours, 5 days a week, even if you have somebody come and let them out for an hours exercise and socialization half way during the day, it isn’t ideal but it is at least understandable. However, it would be nothing short of cruel and inhumane if you then crated them for hours at a time during the evenings and on weekends. They would miss out on important exercise, mental stimulation and companionship. What sort of life would it be? So if you have to crate your dog during the day 5 times a week while you work, you need to make doubly sure you are giving them freedom, sharing life experiences and spending a lot of quality of time with them every evening and on weekends. Otherwise, why did you even get a dog in the first place? One good use of a crate is for your dog to relax and recuperate from illness or surgery, but there are some conditions your vet will recommend you do not crate your dog. The obvious ones are arthritis or inflamed joints but there are other times when your vet will recommend your dog needs full freedom of movement. If the room where you keep the crate gets very hot during warm weather, it would be inhumane to crate your dog. They should be able to move around freely, to find a place and a way to cool down if they need to. If they’re confined to a crate you remove this option for them. A dog may potty in their crate if they suffer separation anxiety, are fearful of the crate, due to medical reasons (urinary tract infection, diarrhea due to an upset tummy) and sometimes just because they’ve lost their natural instinct to keep it clean. If they potty in their crate due to a health issue, then it would be hugely unfair to crate them. It’s not their fault, dogs are clean animals and in no way do they want to lay in their own waste. Crating them would be forcing them to do so. If they are soiling their crate because they’ve lost their instinct not to, it’s a house training issue and you need to address this. If they start soiling their crate, they will soon start to soil in other places in your home too, so you want to sort this out as soon as you can. But first you shouldn’t crate them for a while and confine them to an exercise pen or a small room instead until you’ve trained them not to potty inside your home once again. A crate should be used for the benefit of your dog only, not ever for your own selfish reasons and never through anger. This means never crating them as punishment, or to get them out the way so you don’t have to care for them. If you’re tired after a hard days work and you find your Golden Retriever vying for all your attention, being a nuisance and just will not chill out and relax, this isn’t an excuse for you to crate them. Puppies are sometimes demanding of you, they can take up lots of your time, they can sometimes pester for attention, but this is what you signed up for when you brought a Golden Retriever puppy into your life. 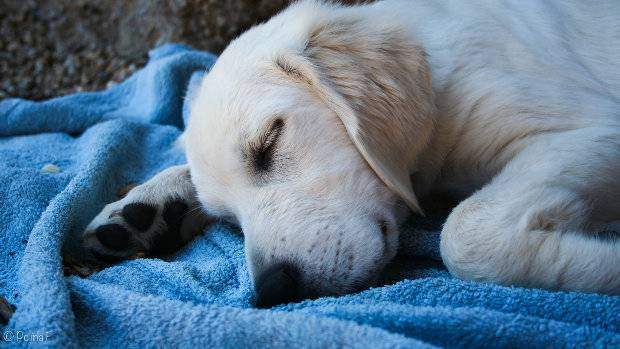 Crating your puppy just to ‘keep them out of the way‘ or because you’re tired and don’t want to deal with them is negligence, plain and simple. It’s your responsibility to interact with, play with and train them, regardless of if you’re having a bad day. 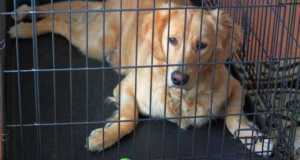 If you crate your dog as a punishment, you’re using it as a prison and not for any benefit to your dog. And here’s the truth: If your dog does something wrong and you feel the need to punish them, you’re actually punishing them for YOUR mistakes. A dog is a dog, they have no idea how they should act other than to be a dog. Only you can train them to behave in the ways you find acceptable. So if they do wrong, the mistake is actually your lack of training them. Therefore to punish your dog is nothing but being mean. Furthermore, if you crate your dog as a punishment they can start to hate the crate instead of seeing it as their own special place to escape to when they wish. They will actively try to avoid the crate. You have to make sure your dog only ever has happy, positive experiences with the crate to maintain their love of it and for them to enjoy the benefits it offers for life. A dog crate is an extremely useful tool of massive benefit to the life of a dog when their owner uses it correctly. And to use a crate correctly you have to know both when it should be used, as well as when it should not. There’s no doubting a dog that’s able to freely roam around, socializing and bonding with their family will have a higher quality of life than a dog who is locked away most of the day. So you should use a crate only minimally. But until you’ve trained them how to behave properly and until they can be trusted not to hurt themselves, careful use of a dog crate helps a puppy to live in our world with lower levels of stress and danger. 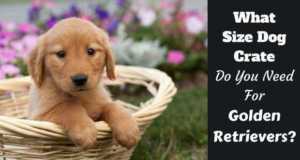 As a puppy ages, gains life experience, matures and does well in training, the need to crate them becomes less and less. And by using a crate judiciously during their puppy-hood, many bad habits are prevented from ever forming and the age by which you can trust them arrives sooner. The time by which the need to stop crating them arrives sooner. So do use a crate. 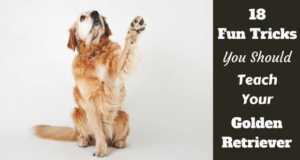 It’s one of the most beneficial things you can do for your dog. But use it wisely, minimally, and never at the times or for the reasons discussed in this article. 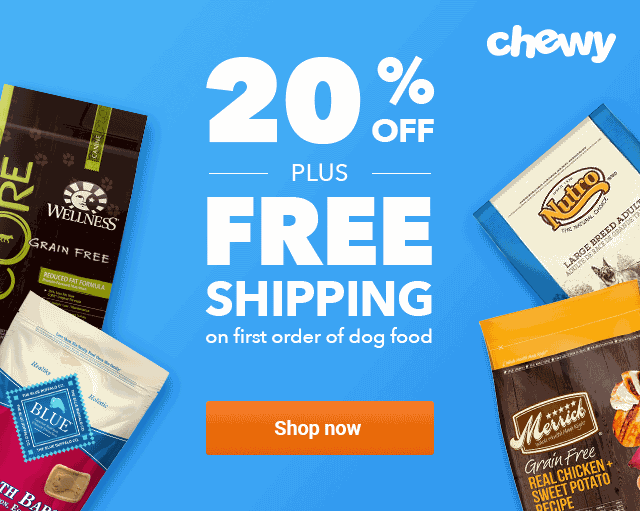 Previous: How To Use A Dog Crate: When Should You Crate Your Dog? When I first got Matilda, she hated being in the crate at night, her cries were awful. Growing up, I had heard it was best to just ignore the dog until they just give up, but now I know better. During the first few nights, when you’re trying to potty train and crate train at the same time, it’s tough. I’m glad I was home most of the time, so we just rarely used it. My fiance persuaded me to let her sleep in our bed the first night. She always, always managed to hop down to her puppy pad or held it until we woke up. Later, I trained her to relax in her travel carrier when we needed to go on a plane. I think it really does make sense to crate-train at the dog’s pace, but I know it’s harder for people who aren’t home as often as I was.